Happy medical worker holding medication bottle. Friendly looking female doctor posing with bottle of pills and showing thumb up gesture. 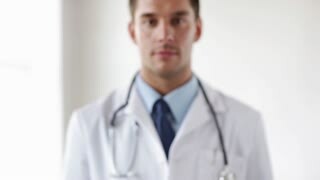 Medical doctor advises pills medication to young couple patients. 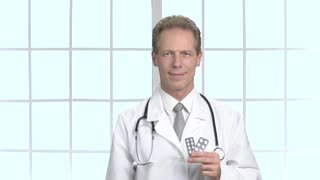 Professional doctor showing medication pills. 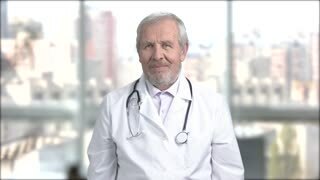 Middle aged male doctor showing new effective medical pills. Medicine, healthcare and pharmacy concept. Professional doctor showing medication pills. 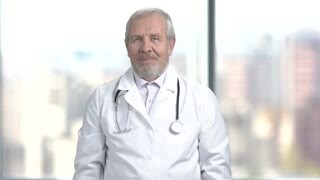 Elderly doctor with pills showing thumb up. Medicine, healthcare and pharmacy concept. Charming young doctor holding pills. Happy female doctor with medication gesturing thumb up on window city background. 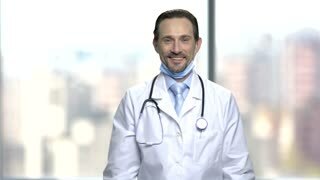 Cheerful doctor showing bottle of pills. 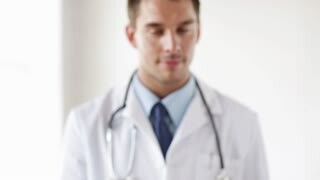 Smiling health care specialist with stethoscope presenting yellow unlabeled bottle with medication.